On December 22, 2017, President Trump signed the “Tax Cuts and Jobs Act” into law. While media pundits speculated from liberal and conservative perspectives the impact the most significant tax reform in over 30 years would have on the economy, it became clear the impact to business would be very positive. One provision within the bill will have a particularly positive impact on the Electronic Security and Life Safety Industry. 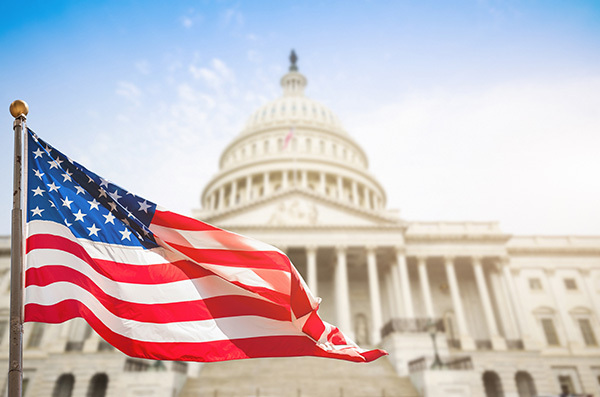 Prior to passage of the bill ESA and several other trade organizations lobbied for “Section 179” expansion of business expensing under the tax code, including improvements to non-residential buildings like roofs, HVAC systems, fire protection and alarm systems, and security systems. This provision was in the Senate version of the bill, but not in the House version. Ultimately, we were successful in getting the Section 179 expansion in the enrolled (passed) bill that President Trump signed into law. What is Section 179 and what does it mean for your business? It refers to a section within the Internal Revenue Code that allows the expensing of certain business property that is purchased and put into service the year the expenditure is made. Under prior IRS rules, building improvements to fire protection and alarm systems and security systems did not qualify for Section 179 expensing. Consequently, that equipment had to be capitalized over the depreciation life for buildings, which could mean up to 39 years as real property improvement. The NFPA recommends that certain equipment be replaced or inspected at 10-year intervals. Sensors, switches, control panels and many other electronic components have life cycles that come nowhere near the prior IRS depreciation schedule for this type of equipment, which made the need and value of Section 179 expensing even more important for business growth and building safety. In addition to Section 179 expansion in the new law, the upper limit of this deduction was increased from $500,000 to $1,000,000. It is estimated that all Section 179 expansion and increased limits within this bill will have an economic impact of $25.9 Billion over the next 10 years. The end result: Businesses can make that investment in an upgraded fire and security system for a non-residential building and expense (deduct) the total cost the year it is placed into service. The savings are real and for many small businesses, tax benefits like this translate into business expansion through reinvestment, greater job growth, and overall economic development because those dollars are put back into the economy. It also means enhanced safety for employees and customers wherever these improvements are made. The graduated 35% corporate tax rate is reduced to a flat 21% and is permanent. Businesses with gross receipts of $25 million or less will be able to continue deductions of all net interest expenses under prior terms and limits. While business-related entertainment expenses are eliminated, meals provided to employees continue to be deductible. Proceeds from the sale of stocks to purchase stock or interest in a specialized small business investment corporation will not be subject to capital gains tax, subject to an annual limit. Employers who pay employees a certain percentage for family and medical leave will be eligible for graduated tax credits based on the benefits provided. Corporations and partnerships with corporate partners and gross receipts up to $25 million will be able to use cash accounting, which recognizes income and deducts expenses when cash is exchanged rather than having to accrue income and expenses.